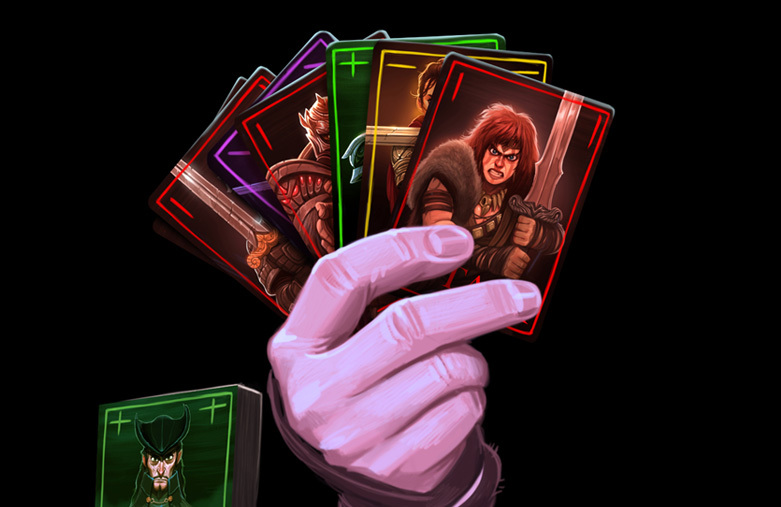 Swords Card Game – Swords is a fast-paced simultaneous action card game that feels like a multi-person sword fight! 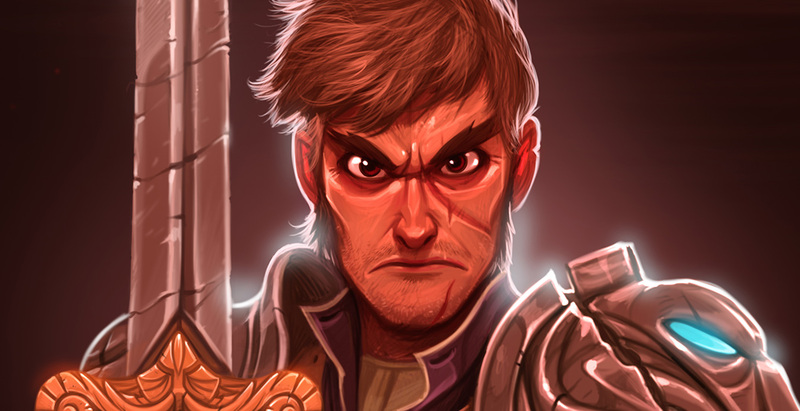 Swords is a fast-paced simultaneous action card game for 2-5 players that feels like a multi-person sword fight! It's quick, fun, intense, strategic, and not too difficult to learn. Players play their cards at the same time either on themselves or on an opponent and each card has a different effect depending on where it's played! 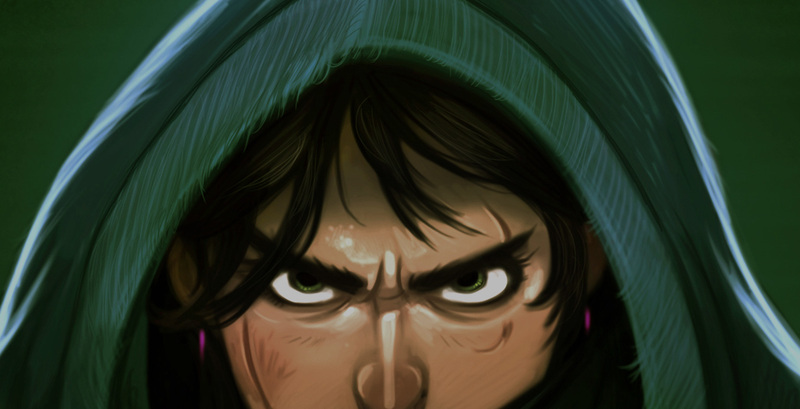 Swords is an exciting game of quick decisions and sudden changes in fortune, just like a real sword fight! You and your opponents make your decisions in secret and execute them at the same time, strategies adapt by the second, and every hand is a surprise! You can win by playing aggressively, always attacking and making opponents draw cards, or you can hope that the others will be so busy fighting each other that they won't notice your quickly diminishing hand as you Yield and discard an extra card. Often a person you were just attacking might suddenly become an ally when you realize, almost too late, that someone else is about to win and you need to team up to take them down! There are many different strategies, some readily apparent and others more sneaky, and reading your opponents is just as important as making the right choice at the right time! Here's a quick summary of how to play! Everyone starts with seven cards. Each round, players each choose a card in secret and then play their cards at the same time. The goal of the game is to run out of cards first. 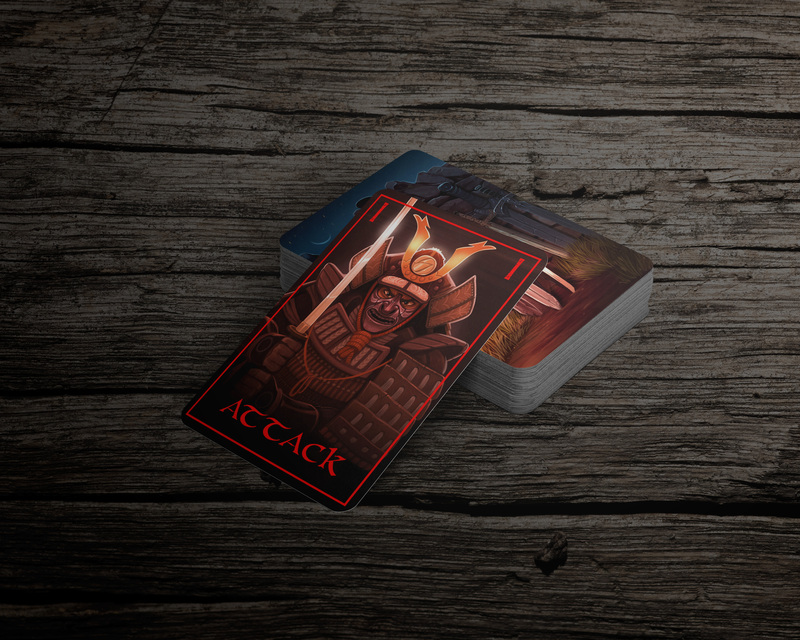 There are four types of cards: Attack, Defend, Yield, and Riposte. You can play any card on yourself or an opponent and each card does a different thing depending on where it is played! Attack when played on an opponent makes them draw 2 cards. If you play it on yourself you lay a trap for any player who plays a card on you, making them draw 4 cards. But look out, it's risky! Anything that's played on you still hits you, and if no one plays anything on you the trap backfires and you have to draw 2 yourself! Defend when played on yourself does what you might expect, it defends you! When you play it on someone else, it acts as a sort of guard break, negating cards they've played on themselves... just watch out for that Attack trap, Defend is defenseless against that! Yield lets you sneak an extra card into the discard pile when you play it on yourself. When you play it on an opponent, however, instead of putting that extra card in the discard you give it to them! Like some kind of card vampire! Riposte is like a counter attack when you play it on yourself, it bounces Attacks, Yields, and Ripostes back at the person who played them on you. When you play Riposte on someone else it immobilizes them for the next turn, leaving them wide open! Careful though, if more than half of the people playing lay down Riposte on the same turn it causes a Clash and every single person has to draw 2 cards! The main game is played with 3-5 players but there is also a fun and sneaky 2 player variant that shakes things up with a hidden Dagger mechanic! A battle usually lasts around 5 to 10 minutes! You can play single battles or play a war where battles award 1 point for a tie or 2 points for winning alone, and the first player to 6 points wins the war! Here's a helpful "How To Play" video! 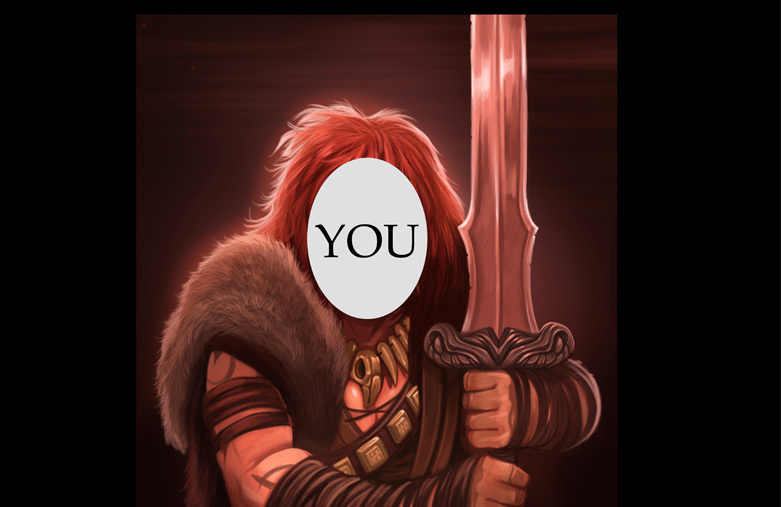 The game has been playtested for more than two years, and we are confident that you and your friends will have a great time having nice safe sword fights! 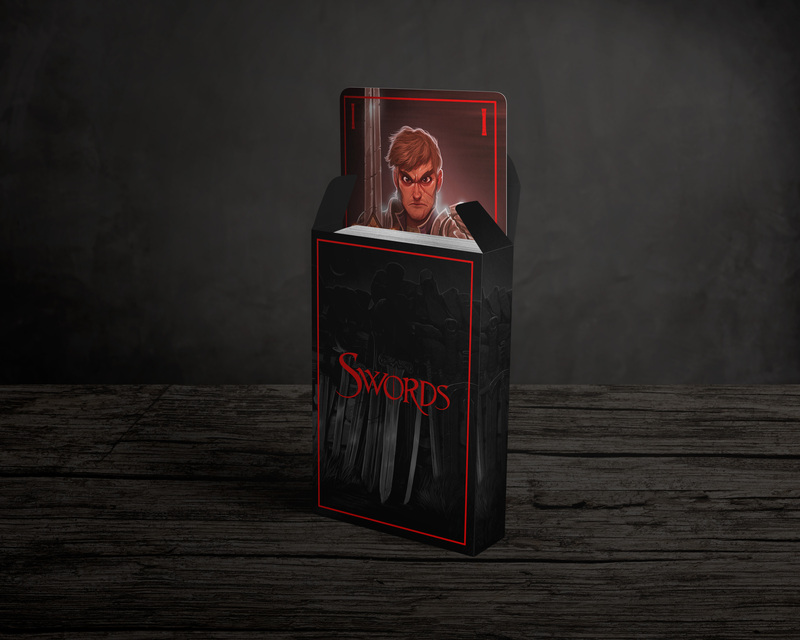 If you can't wait to try Swords you can give it a go with a deck of standard playing cards! Just use each suit for the four card types! 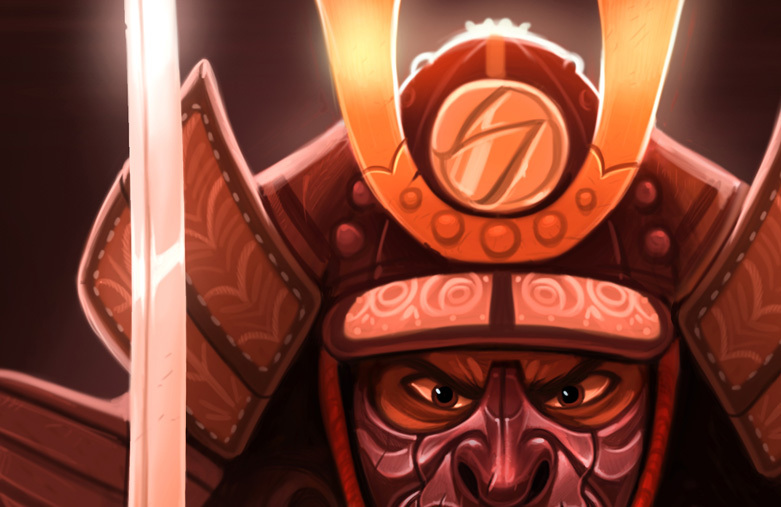 Artist Jeff Delgado's beautiful illustrations bring the game's 13 characters to life and hint at a dark fantasy world beyond the edges of the cards! Currently the cards feature temporary graphics on top of the art. The border and symbols in the top left and right will likely remain largely the same, but the words at the bottom will likely be done in a font that matches the Swords logo. The symbols are in both top corners to allow people to hold the cards in either hand! We set the goal at $20k because Ian wants to pay Jeff half of that. The rest will go to printing and shipping the game and paying the various Kickstarter and BackerKit fees. We're excited to finish the art and get the game out to you, so we're keeping the reward tiers fairly straight forward, that said, we think they're still pretty fun! Special Thanks page on the website! 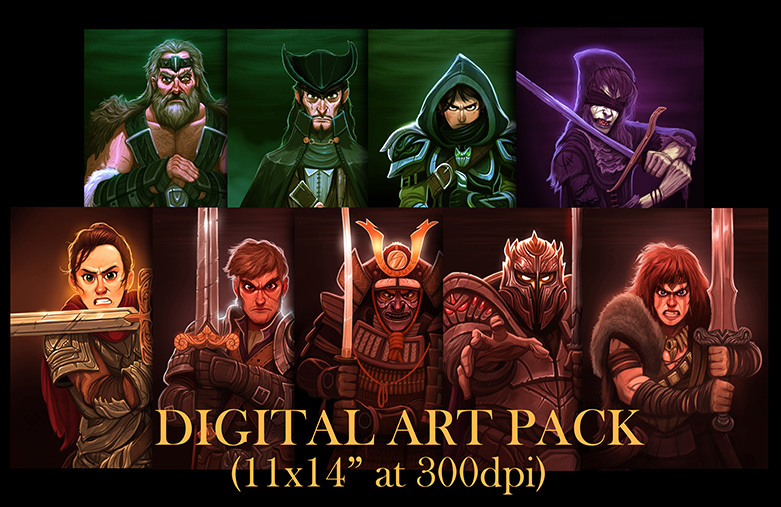 $5+ You'll get a digital download of an Art Pack containing the 9 pieces of art used in this Kickstarter, as well as some promo wallpapers and any other art we've got finished by the time we're funded! $15+ You'll get the game! We think $15 is a good price for Swords, it's a deck of cards (52 game cards plus 5 reference cards), a rulesheet, and a box to put 'em in. If you want additional packs you can get them as an add on at this level and above! This will take place through BackerKit, you can choose this option in the survey that will be sent out later in the campaign! 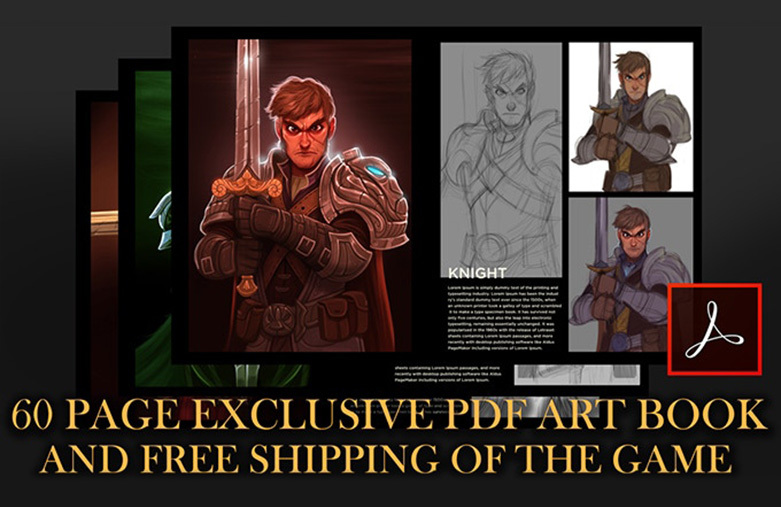 $25+ The game with free shipping and a beautiful 60 page PDF Art Process book with concept designs, Jeff's early sketches, final artwork, and text descriptions of every piece of art for the game! 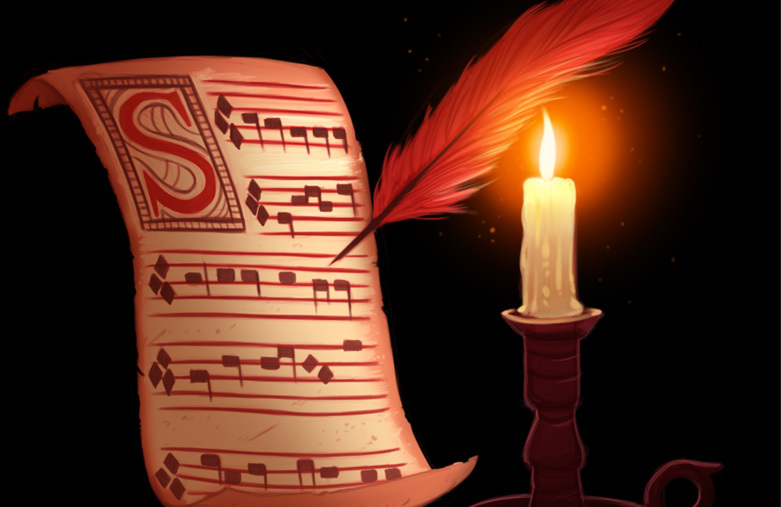 $50+ A physical high-quality print of one of the 9 pieces of art featured in this Kickstarter! You pick the character and we'll send you the print. You can also choose if you'd like both Jeff and Ian to sign it, one or the other, or if you want us to leave the darn thing alone! Ian Hinck is a co-founder of Easy Allies, a fan-funded video game related entertainment outfit. 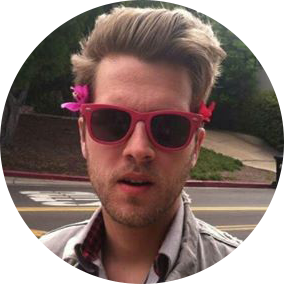 Ian also loves to make games, music, and video projects! 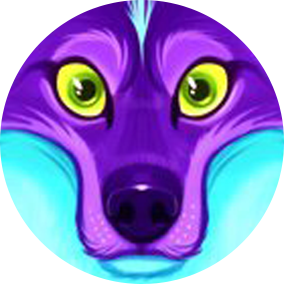 Learn more on Ian's bonkers website! 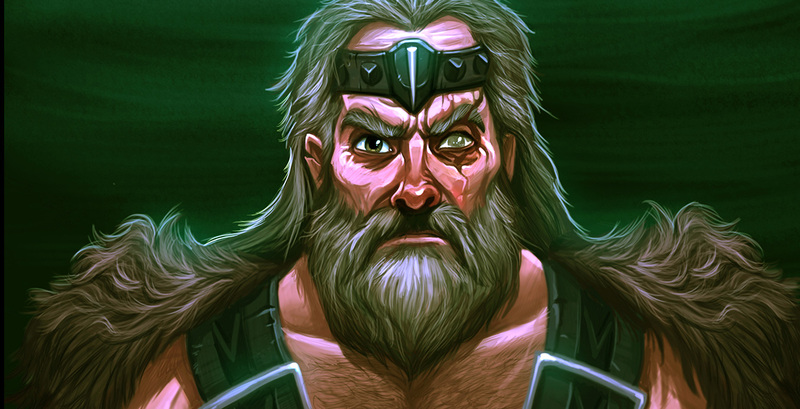 Jeff Delgado is a freelance visual development artist and illustrator. Jeff has worked with many clients including Nickelodeon, South Park Digital, and Dreamworks TV. Learn more on Jeff’s Instagram! Music used in the video is used under Creative Commons Attribution license, click here for more information. We're confident we will end up with a really great looking and feeling deck of cards, shipping globally is the scariest challenge but we're planning ahead and it shouldn't be an issue!